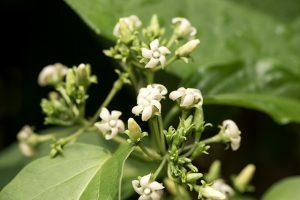 Gymnema, which has the scientific names Gymnema sylvestre and G. sylvestris, is a crawling vine, with oval-shaped leaves and yellow flower clusters. The most used part of gymnema would have to be its leaves. Gymnema has been long used by Ayurvedic medicine practitioners in India. Its Hindi name is Gurmar, which means “destroyer of sugar”. According to the University of Michigan Health System, gymnema can be used as treatment for type-1 and type-2 diabetes, constipation, gastrointestinal issues, liver disease, and water retention. Gymnema can be used as an effective aid in any weight-loss program. A study that was published in the International Journal of Crude Drug Research showed that rats that were given gymnema lost interest in consuming sweets. Gymnema has anti-inflammatory properties. Active ingredients in gymnema heighten beneficial liver enzymes and the body’s natural antioxidants to neutralize inflammatory free radicals. As such it addresses inflammatory issues such as arthritis and gout. Gymnema also helps lower cholesterol levels. It can improve the ratio of high-density lipoprotein or good cholesterol to low-density lipoprotein or bad cholesterol, thus lowering your chances of incurring heart ailments. Gymnema is good for the female reproductive system. Women who have diabetes and insulin-resistant polycystic ovary syndrome (PCOS) have a harder time than other women when it comes to having a baby; luckily, ingestion of gymnema can change that. It can also address hormonal imbalance and decrease the risk of gestational diabetes in new mothers. Gymnema is good for the male reproductive system. By reducing blood glucose levels, gymnema addresses the lower sperm count issue in men with high amounts of blood sugar in their bodies. Gymnema is good for the cardiovascular system. Naturopathic doctor and author of Herbal Medicine From the Heart of the Earth, Dr. Sharon Tilgner, said gymnema decreases the amount of lipids in your bloodstream, thus preventing the onset of atherosclerosis. Gymnema is good for the digestive system. It has laxative properties that facilitate the smooth exit of waste from the body. Gymnema is good for the circulatory system. It provides for the smooth flow of blood all over the body. Gymnema can be taken via capsules, liquid tincture, loose powder, and tablets. However, you should be careful not to ingest gymnema if you are already taking supplements such as St. John’s wort, aspirin, or white willow bark, for doing so will result in you having extremely low blood pressure levels. Gymnema is good for the circulatory, digestive, cardiovascular, and male and female reproductive systems. Gymnema can be used by weight-watchers as an effective aid in a weight-loss program.